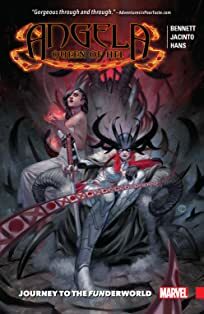 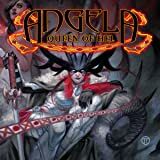 To the soundtrack of a totally sick Nordic death metal solo, Angela and Sera embark on the conquest to crown Angela Queen of the Dead...and encounter some who they have sent to the afterlife themselves! 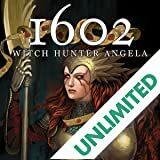 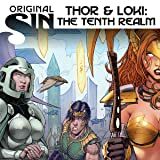 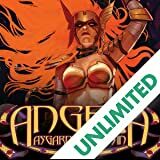 Friends and foes return from the abyss as Angela and Sera raise a rebellion among the dead of the Ten Realms. 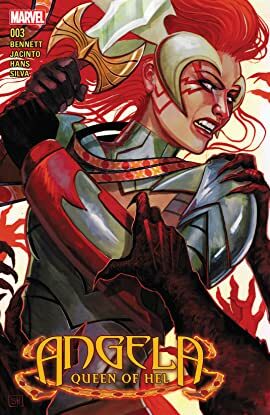 You're the Mockingjay, Angela! 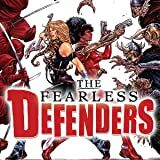 Valkyrie and Misty Knight are the Fearless Defenders and not since Power Man and Iron Fist has an unlikely duo kicked this much--well, you know.